← Its Alive! Giant Greenhouse Dome Takes Shape! Because of the advances in materials and techniques available to the geo dome greenhouse farmer, you now have an amazing choice of vegetables that you can grow for fun or profit once you have built your solar heated greenhouse. Many seed producers have developed garden seeds that work very well in the dome greenhouse – this means you get the most veggies for your time and energy. Ever since people started gardening indoors the cucumber has been a very popular choice. 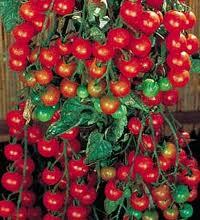 They are a great vegetable to start with because they are so easy to grow. Also they taste great, grow fast and produce like crazy. One trick to maximize production is to prune the vines to one main trunk once five or six main leaves appear. Then as the plants start growing train them to add support for the maturing cucumbers. Use a potassium rich fertilizer and lots of water and you will soon have more cukes than you know what to do with! Mainly because they are so darned expensive, tomatoes are also a very popular vegetable to cultivate in your geodesic dome greenhouse. Popular varieties include cherry, beefsteak and Roma – but for overall ease of growing the best are the upright cordon varieties – as they allow more space for production. Note: If you want to know the absolute best kept secret to growing amazing tomatoes check out my friend Kacper’s amazing Tomato Book! Use high potassium feeds and pay attention to watering and pest control and you will yield baskets and baskets of ripe juicy tomatoes. In fact there are varieties that have been specially created for the indoor greenhouse that produce higher yields then outdoor varieties by several times. Your nice warm greenhouse makes the perfect place to sow seeds as soon as the light starts to come back in February. This provides an early yield of leafy veggie crops as well as creating tons of starts for outdoor gardening too. Veggies – like lettuce, chives, arugula and herbs – are perfect for the geo greenhouse. As winter is ending, your young tender leaves are ready for harvesting – imagine fresh vegetables while everyone else is just starting to look at seed catalogues! If you are adventurous or have a nice tall geodesic greenhouse you can even try growing fruit bearing trees and shrubs indoors. The extra heat and protection can stretch your growing season and result in abundant harvests of amazing fruits and veggies all through the winter (if you time your plantings properly). So don’t wait! Build the greenhouse and get growing! Kacper I am always short on the cash flow. I am going to buy the E Book on tomatoes and I got your 3 free secrets for tomatoes and I think if the information you gave out is also in the book I purchace then I can’t lose but I am thinking greenhouse pretty seriously I am glad I followed up on your tomato help so I am going to go for the tomato book then I will go for the Geodesiac dome Greenhouse next. I ordered Kacpers tomato book and it is pretty good. I think there is under emphisis on the economic part of having a dome greenhouse or any greenhouse. It can actually become a weapon (an economic weapon) to bless the nieghborhood and family. It can be an income producer, not the major producer for family income, pay for itself and generate good produce for sale in the local area. The price of produce is increasing and quality is ok but not to great. I grew up in a rural area and a lot of older ladies would have a small chicken flock and the egg money was a constant help for the family budget. The dome greenhouse can replace the small chicken flock and the egg money with small scale produce sales and help expand the family finances. The other option would be to buiold several greenhouses and make it a prime income source for family income or for children to pay for their college education. My uncle planted an acre of Strawberries and an acre of Rasberries and made the kids do the work With the money they earned off the berries they saved half for college and with the rest they purchaced their school clothes and had more money than the other kids. Their college education wasn’t completly paid for but much of it was and my uncle did not go into any debt to pay for the college but He did help with their living expenses. I am just mentioning this because it is always better to face the future with some help. A small greenhouse to generate groceries or a bit of income is helpful. This is a practical idea, the a small greenhouse can provide a lot of groceries for the family and relieve food expences, especially in hard economic times like an old fashon kitchen garden during the great depression. A bigger greenhouse doubles as a small second income or the embryo of a larger greenhouse growing business where you won’t get laid off. I am well over 65 and have the advantage of a lot of hindsight. 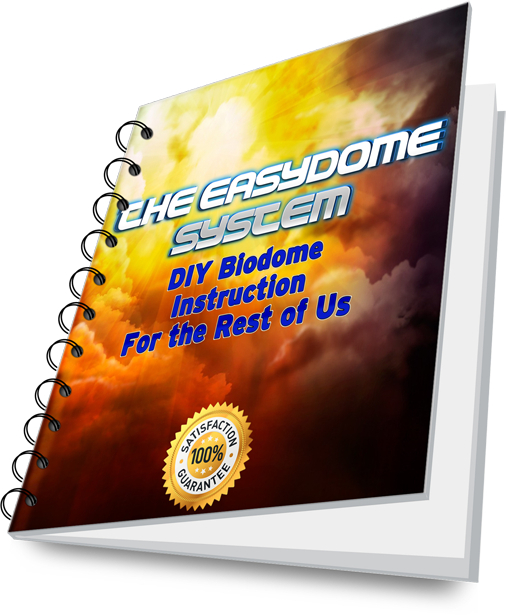 I am planning on building myself a dome greenhouse for some income and some type of project. Social security is at best a great idea to get money and buy votes but when you hit 65 the money you were forced to investe in social security has already been reinvested in some politicians career so invest in your own future NOBODY ELSE WILL. Thanks for the story Harold. 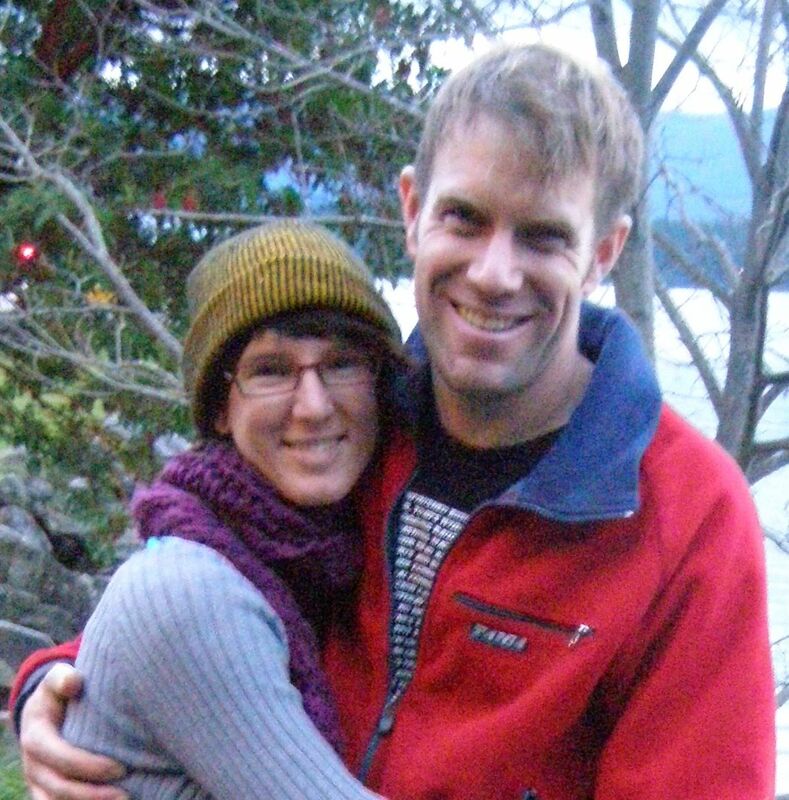 My parents as well as Amy and I are about 60% food independent with our 18 acre farm and orchard so totally agree about the growing of food in hard economic times. Thanks for the info. I have a question. 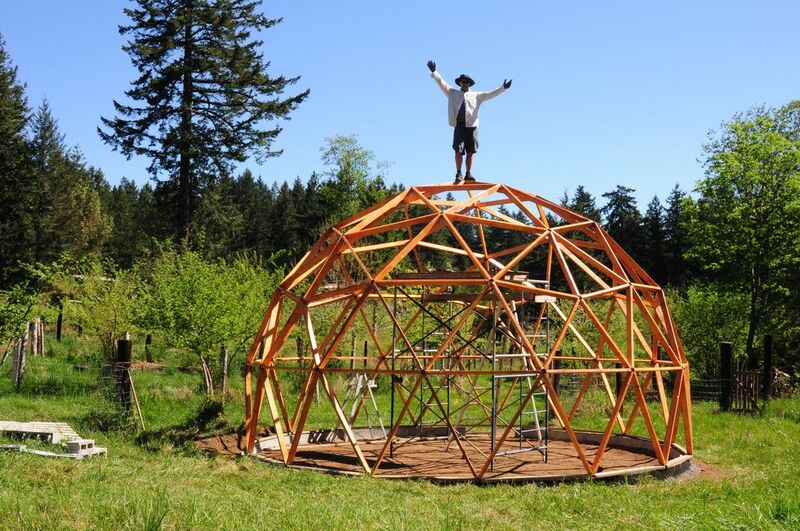 How much would it cost to build one of these domes? 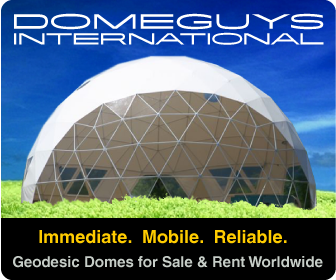 How much would it cost to build an exponentially larger dome? My daughter and her friends are in the midst of a school project where they are looking into alternatives to pesticides. Any info would be appreciated. Price depends a lot on what you choose for materials and how you are set up for tools before before you start! hempcrete or even stackwall cordwood! Use your imagination and don’t be afraid to “shop” in the free section of Craig’s List. That’s how you keep the cost down! As for exponentially larger biodomes I hope you have a good supply of scaffolding as the 40′ food dome is over 25ft high inside!